Recently I came across a short video about pursuing work that makes one happy. It was by a college professor who identified it as the kind of advice he’s provided to his students over the years. Its message was essentially “don’t worry about making money, instead do what you’re interested in doing and making money will find a way to happen.” While I don’t think that’s entirely true—that is there’s a need to find a way to make ends meet because that doesn’t happen by magic—it’s a bit of a philosophy which I’ve followed for many years. Many years later I still thoroughly enjoy it. Now, of course, I know the realities of working as a theatre artist and how that idyllic life I dreamed up when I was a kid is a far fetched reality. But I digress. My discovery and love for live performance came in what I now see as an unlikely adventure, and were it not for a technical error I might be a financial broker today. 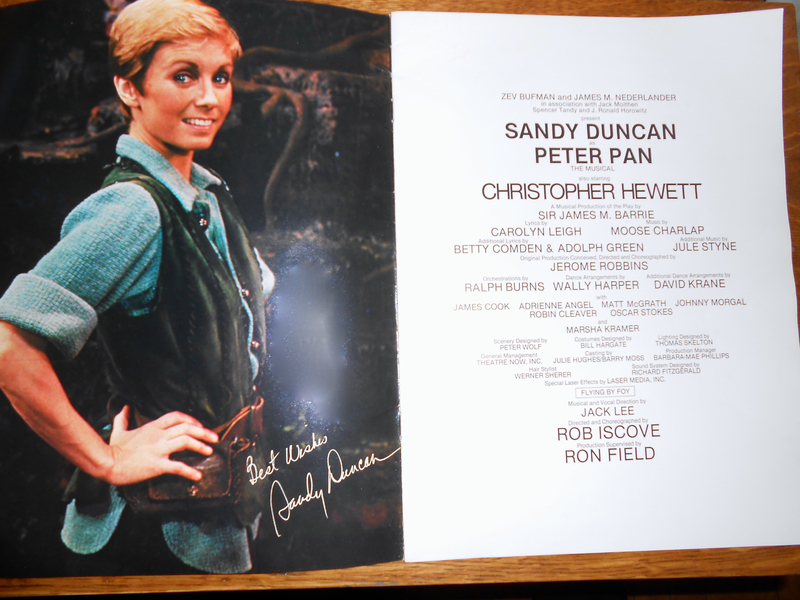 A few years before that fateful life choice, when I was in middle school I went on a field trip to see the Broadway touring production of Peter Pan, starring Sandy Duncan, which had come to Chicago. It was there in the Arie Crown Theater that my life changed. This was a big, colorful happy musical and we were enjoying it as much as a bunch of kids could. I knew the story, for the most part, and I even knew that Sandy Duncan was a big famous person, so I knew this was something special. But then the moment came for Peter to fly for the first time and things went wrong. And then the wire jerked, and she sort of lifted and stopped and landed again, and she began singing, and the wire jerked again, and lifted and dropped, and finally up she went a small ways. And then the moment happened that I’ll never forget. Sandy Duncan stopped the show. She stopped singing, she dropped character, started waving her arms about, shouting “Stop! Stop! Let’s go back! Stop!” Directing the crew to put her back down and the orchestra to stop. As they lowered her down and the instruments dropped out, one by one, I became enthralled, because it was all so real. “The fourth wall” had been broken and I didn’t even know what a fourth wall was! I was stunned: This wasn’t Peter Pan on script, this wasn’t planned, this was Sandy Duncan talking to us. This was all happening unrehearsed and live. And this time with her “…up you go!” Sandy Duncan flew high in the air! And despite our seeing behind the scenes the magic of theatre filled that huge auditorium and we erupted into applause. I had already dabbled a bit in performing but that experience made me fall in love with the craft of storytelling, the beauty in pretending and the immediacy of a live performance. As I did with most movies I saw as a kid, when I got home I described every moment of the play in great detail to my mother. (I’d follow her around the house, talking and talking….it probably took as long as the actual production.) But I recall that this time I focused mostly on the most remarkable moment of the show—that part that wasn’t supposed to be, the part that was a one-time only, unique, experience just for those of us in that theater on that particularly day. I know this only goes to show my naiveté at the time, but I was really just a kid, and I’d never seen anything like it. 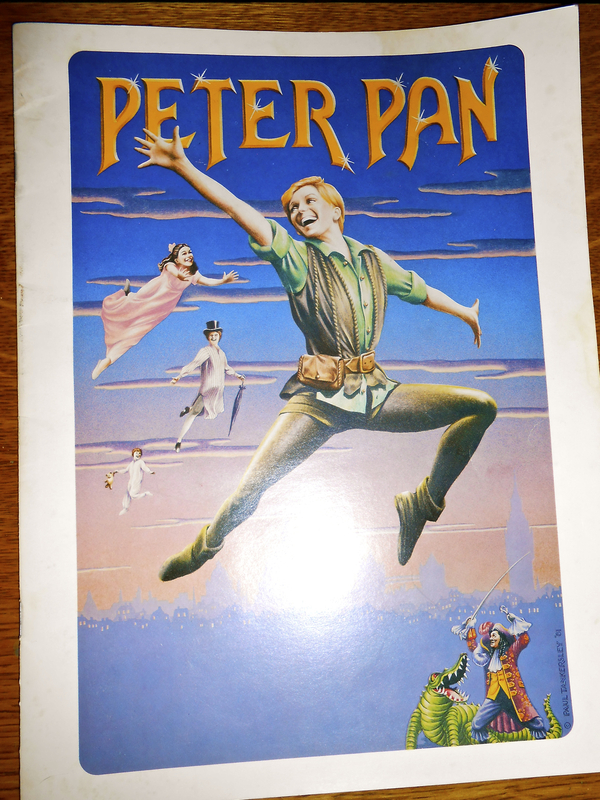 That moment is still vivid in my mind and thirty-two years later I still tell the story, still attribute it to why I do theatre, and yes…..I still have my “signed” program. That gave me chills! What a great experience to have had. I remember so well the magic of the theatre, the unexpected and the totally wonderful! !